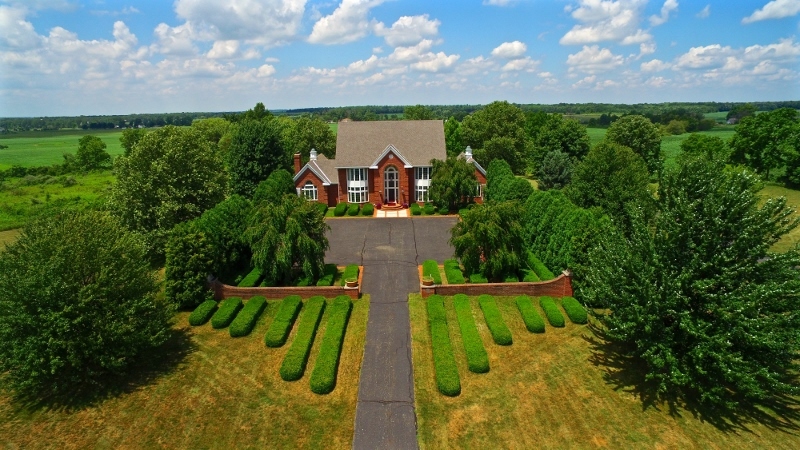 ENTERTAINERS OR FUTURE EQUESTRIAN ESTATE… on ~60 acres of very scenic & gently rolling grounds with woods & pastures! ~38 acres farmed. 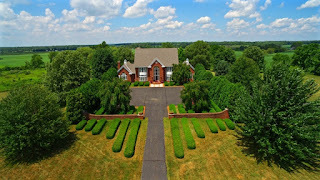 Architecturally extraordinary all brick, custom designed & Built Two-Story with over 6,000 SF on 3 finished levels. 1st Floor Masters Retreat with coffee bar, cathedral ceilings, fireplace & large whirlpool bath. 2 additional suites in the upper level. Vaulted/Two-Story Island Kitchen & Dinette with wrap around cabinets & counters. Finished Lower Level has Pub/Kitchenette, Recreation Room, Billiards area & Guest/In-Law/Teen Suite. Outdoor Living/entertaining spaces include In-ground pool, sport court, multi-level decking & patios. 3 fireplaces. ~20 minutes North of New Albany, Westerville & Polaris. 4 BRs & 6.5 Baths. Centerburg Schools. Only $989,900! Call DeLena today!